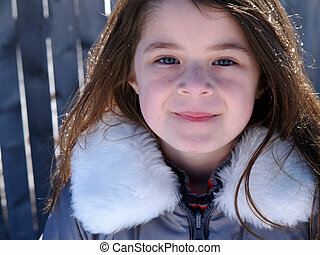 Adorable snow girl. 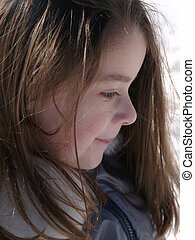 Beautiful girl out in the snow. 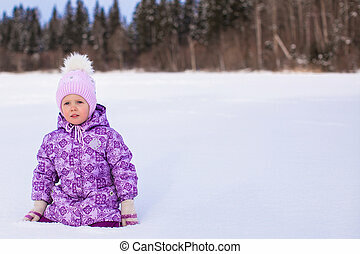 Adorable baby girl sitting in the snow looking down. 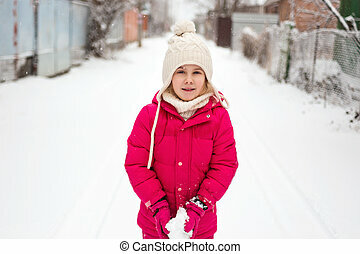 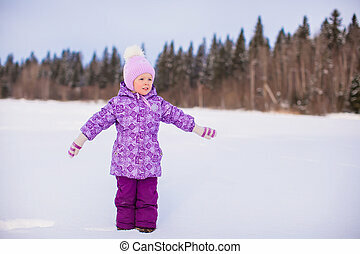 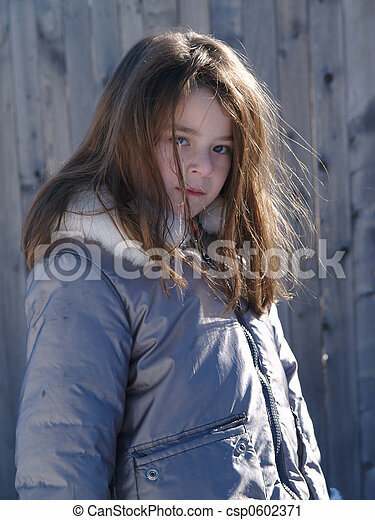 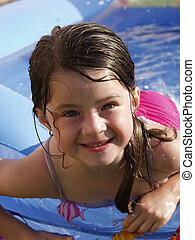 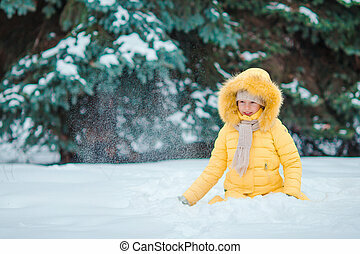 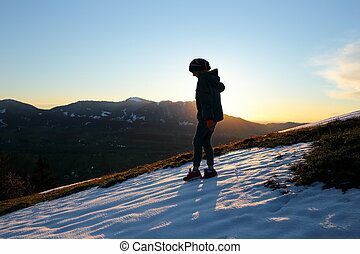 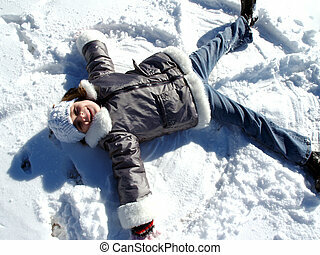 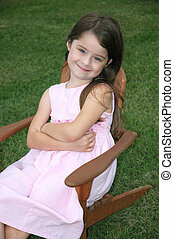 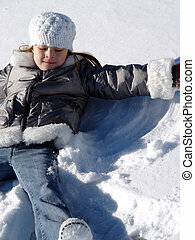 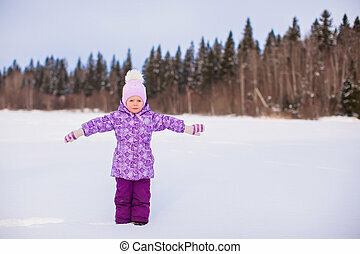 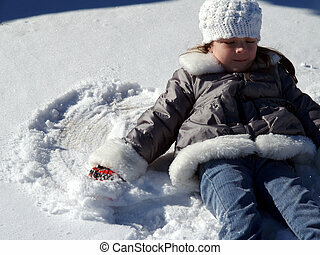 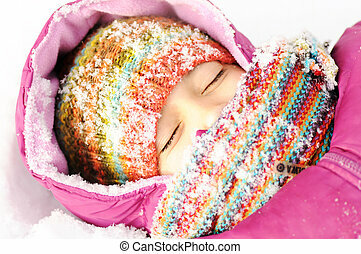 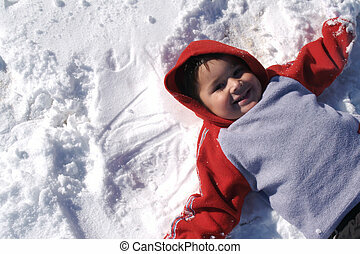 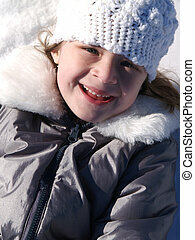 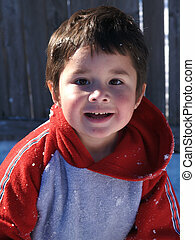 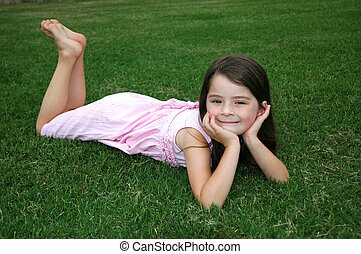 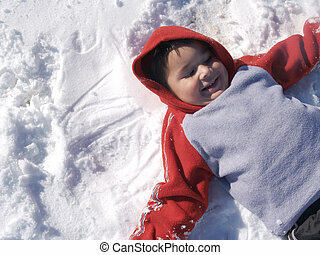 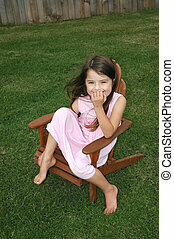 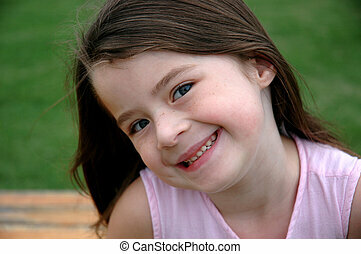 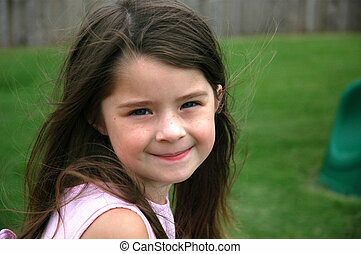 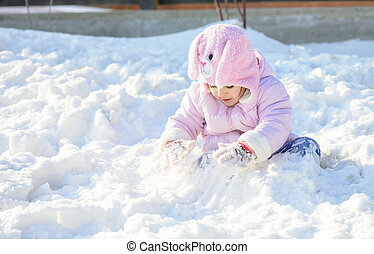 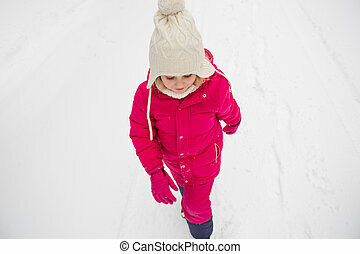 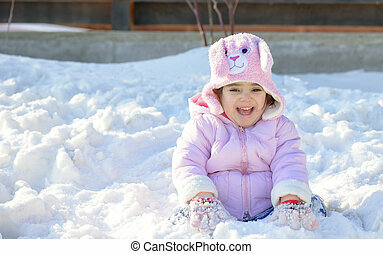 Adorable child girl playing outdoor with snow. 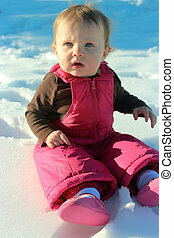 Adorable baby girl looking up while sitting in the snow. 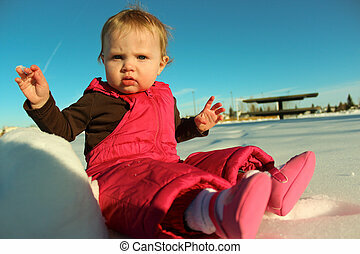 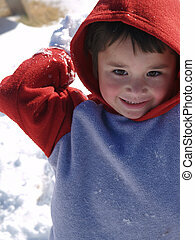 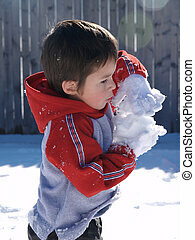 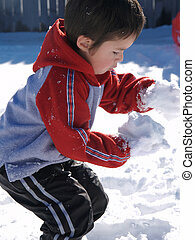 Adorable baby girl reaching to grab snow while wearing pink snow pants.